Summary and Definition: Mao Zedong (December 26, 1893 – September 9, 1976), was the Leader of the Communist Party of China and the Founding Father of the People's Republic of China. He is also known by the name of Mao Tse-tung or simply Chairman Mao. After WW2 Mao Zedong and the Communists led the Chinese Revolution and ousted Chiang Kai-shek, leader of the National People's Party, and took control of China in 1949. Mao Zedong and the communists became popular with the peasants in China by promising land reforms to the people who were on the brink of mass starvation. Chairman Mao was a brutal leader and temporarily lost power in 1958 when his plans to industrialize China, called the 'Great Leap Forward' failed. Mao Zedong regained power in 1966 during the Cultural Revolution with the support of the Red Guard. The philosophy of Mao Zedong regarding communism is referred to as Maoism. The philosophy of Mao Zedong regarding communism are referred to as Maoism and he is famous for the "Little Red Book" that contained his thoughts and quotes. 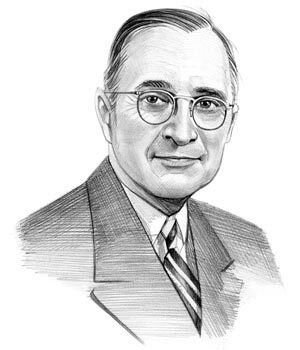 Harry Truman was the 33rd American President who served in office from April 12, 1945 to January 20, 1953. One of the important events during his presidency was the rise of Mao Zedong with the 1949 Chinese Revolution and the spread of the Cold War beyond Europe into East Asia. Fast, fun facts and Frequently Asked Questions (FAQ's) about Mao Zedong and the Chinese Revolution of 1949.
Who was Mao Zedong? Mao Zedong was a famous Chinese communist leader and founder of the People's Republic of China. When was he born and what was his date of death? Mao Zedong was born to a family of farmers on December 26, 1893 and died on September 9, 1976. He was married 4 times and had 10 children. Why did peasants support Mao Zedong? Mao Zedong gained the support of peasants by promising land reforms to the Chinese peasants who were on the brink of mass starvation. Peasants preferred Mao Zedong to the unpopular and corrupt Chiang Kai-shek. Mao Zedong - Main events: The main events in the career of Mao Zedong were the 'Long March', the founding of the People's Republic of China, the 'Great Leap Forward', Maoism and his "Little Red Book", the Red Guard, the Cultural Revolution and his meetings with Henry Kissinger and President Richard Nixon. The rise of Mao Zedong and Communism in China resulted in the spread of The Cold War beyond Europe into East Asia. Mao Zedong and the Chinese Communists had been fighting against Chiang Kai-shek and the Kuomintang (KMT) nationalist party since the 1920's. Hostilities between the two factions ceased due to their temporary alliance during eight years of war with Japan (1937-1945) but after WW2 the Chinese Civil War erupted again. The United States became involved in Chinese politics by providing financial aid to Chiang Kai-shek and the Nationalist government to halt the threat of Mao Zedong and the spread of communism in Asia. Chiang Kai-shek and the Kuomintang (KMT) nationalist party were defeated in 1949 and fled to Taiwan. In 1950 the USSR and the People’s Republic of China announced the signed a treaty agreeing to mutual defense and assistance. The Americans were horrified that the two largest communist nations in the world had formed an alliance and the Cold War moved to a critical level as China enters the Korean War. The following fact sheet contains a timeline and interesting information, history and facts on Mao Zedong for kids. Mao Zedong Facts - 1: December 26, 1893: Mao Zedong was born in 1893 to a family of farmers at Shaoshan, Xiangtan County, Hunan Province, China where he is educated at a local primary school. Mao Zedong Facts - 2: 1906: He was forced into an arranged marriage at age of seventeen joining together two wealthy families who owned a large amount of land. Mao Zedong Facts - 3: 1910: He witnesses the effects of a terrible famine in Hunan. Mao Zedong Facts - 6: 1919: Travels to Beijing where he worked in the University Library where he began to read Marxist literature. 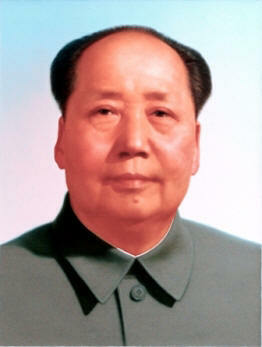 Mao Zedong Facts - 7: 1921: Becomes a founder member of the Chinese Communist Party (CCP) and sets up a branch in Hunan. Mao Zedong Facts - 8: 1923: The Kuomintang (KMT) nationalist party allied with the Chinese Communist Party to defeat the Chinese warlords who controlled most of northern China. Mao Zedong Facts - 10: 1927: The Autumn Harvest Uprising was defeated by Kuomintang forces and the communists were forced to retreat to the Jinggang Mountains. Mao Zedong, and Red Army founder Zhu De begin to develop a rural-based strategy that centers on guerrilla tactics. Mao Zedong Facts - 11: October 1934: The Red Guard numbers 45,000 fighters, plus 200,000 militia. The Nationalist forces of Chiang Kai-shek’s forces surround the communists who escape via the Long March. Mao Zedong Facts - 12: October 14, 1934: The Long March, (1934–1935). The Long March was the 6,000-mile trek of the Chinese communists over 8 mountain ranges and 24 rivers, which resulted in the relocation of the communist revolutionary base from southeastern China to the province of Shaanxi in the northwest. Mao Zedong Facts - 14: 1939 - 1945: During World War 2, Chiang Kai-shek, was recognized as one of the "Big Four" Allied leaders along with Stalin, Roosevelt and Churchill and traveled to attend the Cairo Conference in November 1943. Mao Zedong Facts - 15: 1945: Second Sino-Japanese War ended when Japan was defeated in WW2. The Chinese Civil War between the Nationalists and the communists erupted again. Mao Zedong Facts - 16: 1946: The United States became involved in Chinese politics by providing financial aid to Chiang Kai-shek and the Nationalist government to halt the threat of Mao Zedong and the spread of communism in Asia. Mao Zedong Facts - 17: 1949: Chiang Kai-shek and the nationalist party were defeated by the communists in 1949 Chinese Revolution and fled to Taiwan. The following fact sheet and timeline continues with interesting information, history and facts on Mao Zedong for kids. Mao Zedong Facts - 18: 1 October 1949: Mao Zedong founded the People's Republic of China and became the Chairman of the Communist Party and the absolute leader of China. Like Stalin he became a brutal, oppressive dictator. Any objections to his regime were immediately suppressed leading to countless executions or imprisonment in labor camps. Mao Zedong Facts - 19: February 15, 1950: The USSR and the People’s Republic of China announced the signed a treaty agreeing to mutual defense and assistance (Sino-Soviet Treaty of Friendship). This treaty between the two largest communist nations in the world coincided with the Soviets successful tests of its first atomic bomb that sparked the Cold War Arms Race. Mao Zedong Facts - 20: June 25, 1950: The Korean War (June 25, 1950 – July 27, 1953) began between the Soviet-backed communist North, and the US and UN-backed South. Mao Zedong Facts - 21: October, 1950: China enters the Korean War enabling the communist North Koreans to regain lost territory. General Macarthur wanted to expand the Korean war into China. President Truman refused and relieved Macarthur of his command. Mao Zedong Facts - 22: July 27, 1953: The Korean War ended with an armistice that was signed by the United States, the People’s Republic of China, North Korea, and South Korea in July 1953. Mao Zedong Facts - 23: March 5, 1953: When Stalin died on March 5, 1953, Mao Zedong felt he was now the senior communist leader and was resentful when the new Soviet leaders Khrushchev and Malenkov did not recognize this. At this point the alliance between the Soviets and China began to cool. Mao Zedong Facts - 24: March 8, 1954: The U.S. and Japan signed the Mutual Defense Assistance Agreement in Tokyo. With the victory of the Mao Zedong and the Communists in the 1949 Chinese Revolution the United States had lost its chief ally in Asia. The US now viewed Japan as they key to defending Asia against communism during the Cold War. Mao Zedong Facts - 25: May 1956: The Hundred Flowers Campaign began with a movement within the communist government of China to lift the restrictions imposed upon Chinese intellectuals and granting greater freedom of thought and speech. Mao Zedong Facts - 26: 1958: Chairman Mao introduced his plan called the 'Great Leap Forward' (1958 to 1961). The 'Great Leap Forward' was an economic and social campaign aimed at rapidly transforming China from an agrarian economy into a socialist society through rapid industrialization. Mao Zedong Facts - 27: 1961: The 'Great Leap Forward' relied on the commune system and the mass mobilization of labor to improve agricultural and industrial production. The policy led to a massive decline in agricultural output, which, together with poor harvests, led to famine and the deaths of millions. The 'Great Leap Forward' policy was abandoned and Chairman Mao's position was weakened. Mao Zedong Facts - 28: 1962: The final split between the Soviet Union and China occurred when Chairman Mao criticized President Khrushchev for backing down in the Cuban Missile Crisis. Khrushchev responded by declaring that Chairman Mao's policies would lead to a nuclear war. Mao Zedong Facts - 29: October 16, 1964: China tests its first nuclear weapon at Lop Nur, a former salt lake in China. Mao Zedong Facts - 31: 1966: The Little Red Book was first published by the Chinese government during the Cultural Revolution. The Little Red Book, aka ‘The Quotations of Mao Zedong’ consists of a collection of 427 quotations from Mao Zedong on subjects such as Socialism and Communism, patriotism, discipline, and the role of women. Mao Zedong Facts - 32: Not carrying, reading, knowing its contents and quoting from the Little Red Book would have been seen as a sign of divergence from the teachings of Maoism, leading to oppression or even death. Mao Zedong Facts - 33: The Little Red Book was a successful form of propaganda for Mao Zedong as was the "cult of personality" which ensured that his picture was everywhere in China. Mao Zedong Facts - 34: 1969: The split between the Soviet Union and the People's Republic of China escalate into fighting on Sino-Soviet borders resulting in the threat of a Soviet nuclear strike against China. Mao Zedong Facts - 35: 1971: The US plans to strengthen ties with the Chinese government Henry Kissinger is sent to China for a secret meeting with Prime Minister Zhou Enlai, paving the way for a meeting with President Nixon. Mao Zedong Facts - 36: 1972: President Nixon travels to mostly meeting with Chairman Mao's second-in-command Zhou Enlai, due to Mao's declining health The meeting was an important part of the Cold War as China begins to move closer to the United States and away from the Soviet Union. The article on the Mao Zedong provides a timeline, detailed facts and a summary of one of the important events during his presidential term in office. The following Harry Truman video will give you additional important facts and dates about the political events experienced by the 33rd American President whose presidency spanned from April 12, 1945 to January 20, 1953.